When I received an email that Ivonne of Cream Puffs in Venice and Lis of La Mia Cucina were putting together a blogging event, I knew that I had to participate. To show up to this glorious summer feast titled “La Fiesta al Fresco”, make anything you want as long as it features one fresh ingredient. This virtual feast seems like a wonderful way to celebrate the end of summer. This weekend I found some lovely Italian plums at St. Lawrence Market in Toronto. 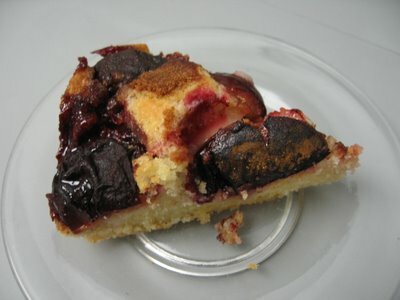 Since plums are in season and at their peek, I decided to make a simple Italian plum torte. I hope you all enjoy. This recipe also goes out to my friends in Vancouver who are lucky enough to have a plum tree and have so many plums they are not sure what to do with them. This recipe is from the December 2002 issue of Chocolatier Magazine. 1. Position rack in centre of oven and preheat 350ºF. Butter and flour 8” springform pan; set aside. 2. In a medium bowl, whisk together, baking powder and salt. 3. In a 5-quart bowl of a heavy-duty electric mixer, using a paddle attachment, cream butter and 3/4 cup sugar until light and fluffy. Beat in eggs one at a time. Add dry ingredients and mix on medium speed for one minute, scraping down sides of bowl with a rubber spatula. 4. Arrange plum quarters and halves on top. Combining remaining 1 1/2 tablespoons sugar and cinnamon and sprinkle on top. Bake for 45 minutes or until toothpick comes out clean. Cool on a rack for 20 minutes. Run a sharp knife, around edge of torte. Remove side of springform pan and serve torte warm or cool. 5. You can serve torte with heavy cream, vanilla ice cream or just on its own. Posted by Sam at 2:39 p.m.
That is beautiful. Italian plums are my favourite and I often make a cake with them. Thank you so much for taking part in the festa ... and glad to hear that you're back in Toronto! Sam - I've been a huge fan of yours for quite a while now.. I am so excited you could join our party! Thank you so much! 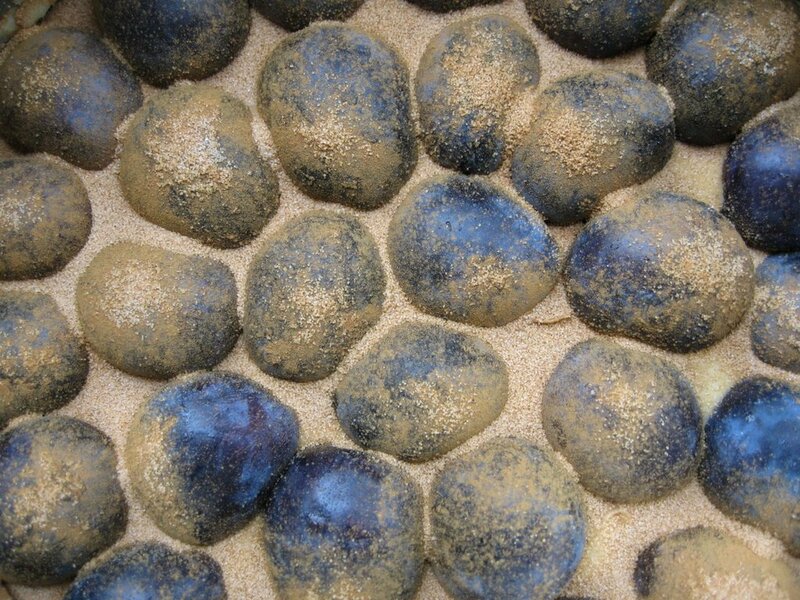 I was just writing to Helene about how I was at the market yesterday and bought a bunch of Italian plums myself (as did she) - Unfortunately, (no really.. it was fortunate - they were delish! hehe) I ate probably more than half the bag so I can't cook with the few that are left.. but with these delicious recipes submitted, you can bet I'll be cooking with the next batch I buy! Thanks so much for your wonderful comments and for hosting this extrodinary event. Everyone's dishes look fab! Thanks for visting. I'm happy to hear that you are enjoying making desserts. If you click onto April in my archives, there is a recipe for mango pudding with coconut milk sago. Hope this helps!